SUPERGIRL Is Super Fun | Warped Factor - Words in the Key of Geek. Gail Williams takes to the skies with Supergirl. I watched the extended preview for the new series of Supergirl last month, and today I was lucky enough to see the first episode of the new series. When I watched the preview (above) I had a load of questions, like, how come she leaves Krypton older than Kal-El, but arrives here younger? That explanation is given and it makes sense, or at least it makes enough sense to allow the viewer to continue to suspend disbelief. What I found really interesting wasn’t actually Supergirl, though she is shaping up to be a really good character, the smarts and ditzy are in the right proportion, the character knows her flaws and she reacts as any normal 21st century late teen/early twenties would. She’s going to be a great role model and she’s played well. What I found really interesting was that she is surrounded by a group of equally interesting characters. In “Lois & Clark”, it was all about Lois & Clark. Jimmy Olsen, or at least the guy who played him, got changed out, first season I think. There was Perry White, the editor who was very comic book but probably meant to be, then there was Catherine ‘Cat’ Grant, but her little ray of sunshine was wane at best. You might get the impression that I didn’t like Lois & Clark but you’d be wrong, I liked it a lot and watched avidly for the first couple of series. But my point is, there were only two real characters in the series, three if you include Lex. 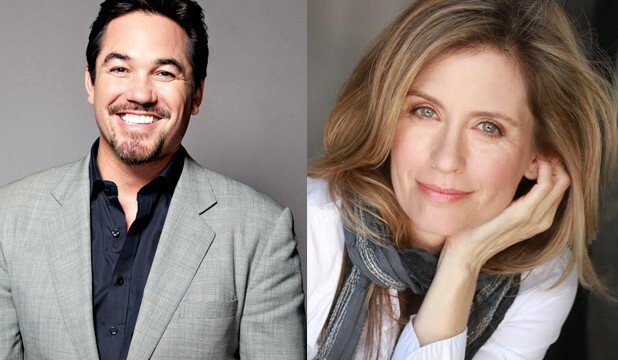 Also I had to mention Lois & Clark, because Dean Cain plays Fred Danvers in Supergirl. And Helen Slater (Supergirl in the original movie) is Sylvia Danvers. The casting director obviously had his tongue thrust deep in his cheek for this one. Unlike Lois & Clark, in just this opening episode of Supergirl there already seem to be a number of full on characters. Her adopted parents may or may not be something more than a production in-joke, that remains to be seen, but her sister Alex looks like she’s going to be fun. 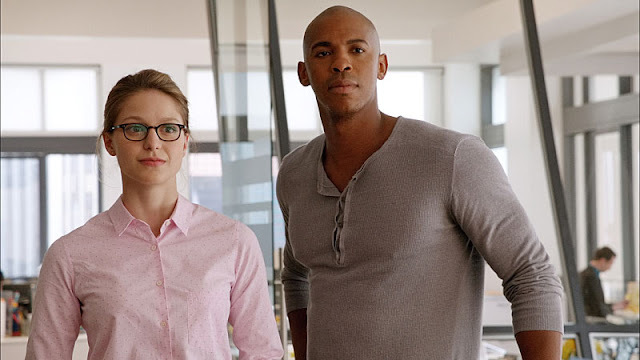 She's the big sister who really loves the adopted incomer, and what’s really good, and typically big sister-y, is when she tells Kara (or possibly Linda) to pick a shirt, and she immediately insists on the selecting the other one. Then there’s Jimmy Olsen, who, yes, is usually Superman’s trusty foil, but he’s jumped ship, grown up and is now calling himself James. And by the way, while the boys can drool over Supergirl, we women will be checking out the sexiest version of Olsen ever seen. Wow! The only thing I didn’t like was the defying gravity. No not the flying girl, I suspend disbelief enough for that, but what annoyed me is that a crashing plane gets landed in the river, and it didn’t sink! Minor point, but it bugged me. Overall Supergirl absolutely gets a 5 star rating from me. Which leaves only one problem - I really want to see more, but I won’t pay for TV, and being in the UK and knowing it’s not going to be on Freeview for ages (if ever) means it may be a long wait. For those of you in the USA, Supergirl premieres on CBS, Monday October 26th at 8.30pm.